First thing came into my mind when I heard the tsunami in Japan is Yongseo. Honestly. They are so lucky to be in Thailand right now. I hope everyone to be safe (especially our gogumas in Japan). I know obviously there are a lot of casualties but let's pray and hope that they will be rescued as soon as possible. We respect each other's opinion. I grew up in a culture to respect whatever opinions we have and still can get along harmoniously. I hope this forum aside from being an official seohwa thread celebrates freedom of expression and respect on different cultures and opinions. You have a point there. But...........we must remember in real life there are a lot of things that we don't expect in life such as love. Example: 1)There are a lot of friends who end up with each other. Friends are better lovers since you understand each other. 2) Some people have secret loves with their friends (even if this friend has a special someone in his heart) and pretend it is just okay with them as long as they stay friends just to be close to them. 3) Rebound love can happen too. 4) From the book of war, isn't it best to be closer to the enemy to get to know the enemy 5) There are some girls who will do anything for love, etc., etc., etc. Action speaks volume and larger than words. There are some vids with comments that show how somehow PSH is so much into Yongwha. (You tube -- look for both their name with YAB). I don't know. As PSH said the more you compliment Yongwha, he will do anything for you. Let's see after 3-5 months after the drama. And if PSH will get engaged and eventually get married. I really really wish my woman's intuition is very very wrong. This has been bugging me for almost a year now. I just wanted to express it and get it out of my chest. I wanted to apologize first of all. I don't mean to bash or anything about this topic. Again I apologize 1,000,000 times or even more. I don't know how broadminded will the people be reading this. I already a foreword before reading this spoiler. I just don't know anyone who is a yongseo fan to tell this kind of thing. It seems to me I'm still confused with Yongwha. I appreciate the song he made for Seohyun. It was really sweet. He is too talented that he made so many songs. I hope these are not lyrics or just words and he mean it when he said once he got hold of her hands he will not let it go. Time will tell. I wanted to erase my perception of him if he is an out of mind, out of sight guy. His consistency on ideal girl (as compared to Seohyun who has been consistent with his favorite actor Johnny Deep all this time, Jinwoon--Seohyun as his ideal girl type for so long). Then again he is still young. He hasn't really found what he is looking for. He said he never met anyone like Seohyun before. He said she is really unique. Seohyun is more than this and more. They just needed more time to mature and grow. They have a lot things ahead of them. Wish them luck. Yay! gogumas we finally did it! Goguma power is really extreme!!!! hehe!! Thanks to everyone who contributed on our 1st thread... Hope you can contribute on this 2nd thread!! We all love YONGSEO!!! **out of nowhere... just wanna ask this,, when did Yong last wore his so called 'eternity ring'?? And when did Hyun started wearing her 'eternity ring'?? my stupid mind is giving me a scenario that, Yong gave the so called 'eternity ring' to his wife that's why it's nowhere to be found on his fingers now.... hahaha too much imagination of mine GOGUMAS!! ahh...the ribbon cutting ceremony is over!!! @soshi3, nuna is jealous of u! but i love this new home...lets get ready to rock and roll!! and lets make it more colourful and more vibrant more of EVERYTHING!! Actually I post the link there is on the last page uhhmmm...... Maybe I should do it bigger so others can see it and find their way here easy. oh well:ph34r: happy to be here though. CONGRATS ON YONGSEO THREAD #2!!!!!!! Here's hoping it will be filled with as many joy filled posts, cute cartoon pics, photos, gifs, video links, and news tidbits as the previous thread. I honestly hope the thread will be filled with every new thing these two do in the future. No thread moves faster than this one so it's really is the best place to come to hear about all things related to Yonghwa and Seohyun. I look forward to the day that these two have this thread going crazy because every one's heard they're working on some new project together. Can't wait to see what the future brings. wow, our new home yongseo 2nd thread CONGRATULATIONS!!!! pages, now we are at 3rd page of our SECOND GO-CHUN. AMAZING. Yesterday i said goodbye to our old home and left behind all my sad feeling there. This second sweet home will fill with joy and happiness. 3 more hours to the Deebak episode. Can't wait to listen to banmal songs LIVE from BKK. a new gochun for us! hopefully i'll get back into the groove. missing everyone so much. can't wait for the episode tonight. hi everyone! aigoo. my 2nd post. *deep breath*here goes.uhm, first, congratulations to everyone for having our new home! though i was only a lurker in the 1st thread, i enjoyed reading your posts and how you made everyone feel welcome, especially us, the lurkers. though YongSeo's WGM is ending, i know that i will forever have a family in all of you. their WGM stint is ending, and this thread is only beginning. it only goes to show how we will be a family until the very end. i hope we will make it through the 3rd thread still, what with our love for YongSeo and for each other. that's all for my second post. 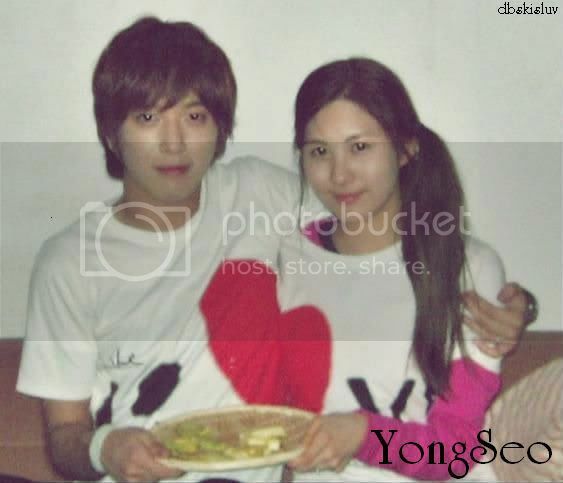 :)PS: today is YongSeo day! daebak episode plus special stage! i'll be looking forward to spazzing with you all! i love you guys! gogumas, fighting! 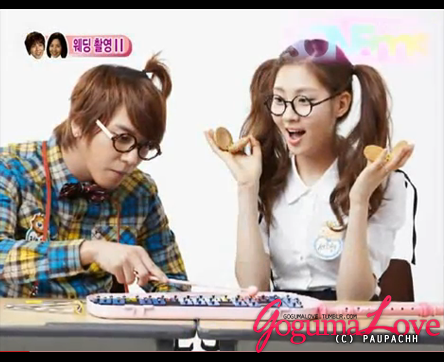 Us at Goguma Village Welcomes ....Official Seohwa/용서/Yongseo Sweet Potato Couple Thread 2 ♥!!! Now I'm all I'm looking forward to is an announcement of a real wedding!!!!!!!!!!!!!! THIS IS OUR SECOND HOME SO THIS IS FOR THE REAL RELATIONSHIP!!!! Though that may not be anytime soon... I'm hoping that they will stay in touch with each other and continue to be together. As I've mentioned in my past posts, I hope that they will just stay true to themselves and not be afraid of how they feel. We outnumber the antis so I hope they know that they will have more supporters if they do end up being together. Even if they won't announce it, I hope they stay really close and be the person they could both lean on or count on when they need it. A bond that they have is something not easily broken and I hope they won't let the public or haters dictate how they should act. 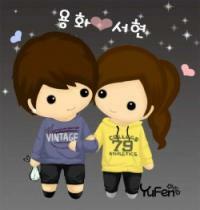 Stay strong YONGSEO!!!! We are right behind you!!!! You know how they say you start to resemble your partner? The mannerisms, the way they talk or their faces somewhat look the same? YONGSEO has become that... It just shows over time how much they've both changed for the better and learned new things along the way. I'm so happy that the producers picked them. I mean who would have thought right? That these two will actually be the best together. They compliment each other well! I actually want to make a video, but I've never done one before. If any of you have any suggestions on a program I should use or if someone could teach me how, I would really appreciate it. I just feel like I want to put some moments together for them. For now, I'm looking forward to the duet and the new episode. There's so many things I want to spazz about re-watching all the episodes, but I'll do that later. Thanks again to everyone for giving us inspiration that we need when we need it! THE NEW EPISODE WILL BE DAEBAK! THE DUET WILL BE DAEBAK!!! EVERYTHING ELSE ABOUT THEM WILL BE DAEBAK!!!!! YONGSEO DAEBAK!!!!!!!!!!!!!! cr to all the photo uploaders! YAAYYY New thread! Im so proud of everybody for filling 2000 pages of love and support for YongSeo. Now lets vow to fill another 2000+ pages of continous support and love for Jung Yonghwa and Seo Juhyun, yes?! IM SO EXCITTEEDDD!! I cannot wait for what the future holds for YongSeo and us~ LET'S BE HAPPY AND CELEBRATE GOGUMAS! Can't wait for tomorrow's DAEBAK ep!! is this a historic day for go_chun or what? so lets go crazy and just be happy. no more depressing posts..
Today is another exciting day for us!!! Pray that today concert will be daebak!!! pray that Japan will recover soon! Thank you for being with me through spazzing about YongSeo. I dont really have anyone else to talk to about them. Thank you to M3, Dduk, LalaCakes, Tetsuya, semi-fly, sally7 for translations, uploading and subbing later on. Just posting first in case I am lurking later. I m honestly curious about the Singapore meetup and who goes to watch the show together. And of cos of cos....all international Gogumas. THANK YOU! Can't forget about the international community can we? P.S: I keep seeing yongseoisreal posting. Don't neglect your studies as well too! worries for you and other goguma students. omona gogumas you amazing kids! It was only at page 1996 when l went to sleep last night! New home new beginnings eh? I'm so happy that everyone is coping so well ever since the news has been out. It's really nice to have a place to share all these pent up emotions for the cutest couple. We'll always have something to spazz over here right? HIMNAE EVERYONE! new ep later! 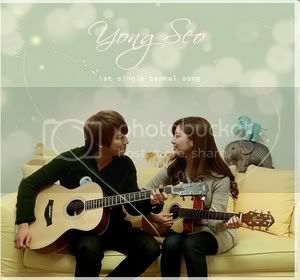 Choding yongseo celebrates the new thread by making music! Wow....all of you is very fast...im just away for about 1 hour..
for some reason she looks different, maybe its the hair... but as always beautiful.